What is the Coosa River Basin Initiative? A member of the international Waterkeeper Alliance, CRBI is also known as the Upper Coosa Riverkeeper. As such, we work to enforce the Clean Water Act, by monitoring pollution and polluters. When pollution problems are identified we use all means necessary, including legal action, to correct these problems. As a member of the Georgia Water Coalition and Alabama Rivers Alliance, we work to influence water resource policy in both Georgia and Alabama so that clean and plentiful water is available today and for future generations. We work in four program areas: advocacy, education, water monitoring and restoration. Our two staff members, Board of Directors and Advisory Board direct the efforts of CRBI’s more than 3000 members. After a 1991 meeting in Keith, Georgia with a diverse consortium of citizens fighting local battles over everything from landfills to chipmills, Rome businessman, Jerry Brown, developed the vision of a regional organization that would fight environmental abuses in the entire Coosa River Basin, and CRBI was soon born. Its first success was stopping a landfill sited upstream from Weiss Lake. CRBI originally operated through the work of dedicated volunteers in a cramped office in the back of Brown’s business. From these humble beginnings, CRBI has grown to become a visible presence in the decision-making processes concerning the region’s natural resources. Today, CRBI occupies a Broad Street office in downtown Rome’s business district. The organization employs a professional staff of two people who coordinate volunteers and work with a board of directors to design and implement advocacy, education, water monitoring, restoration and organizational development programs. More than 3000 members support the organization with their money and volunteer services. Forcing the U.S. Environmental Protection Agency (EPA) to uphold the Clean Water Act through a lawsuit requiring the EPA to set Total Maximum Daily Loads (TMDLs) on our impaired waterways. TMDLs limit the amount of non-point source pollution allowed to enter polluted waterways. Stopping a plan to “transfer” metro Atlanta sewage to the Coosa River Basin by working successfully with state legislators forcing metro Atlanta communities to rethink their growth strategies. Stopping the dumping of indigo dye in the Chattooga River by carpet manufacturers and the improper land application of wastewater sludge in Dalton. Stopping a hot water discharge on Smith-Cabin Creek in Floyd County by Temple-Inland Paperboard & Packaging. Defeating water legislation that would have allowed Georgia’s water to be bought and sold to the highest bidder. 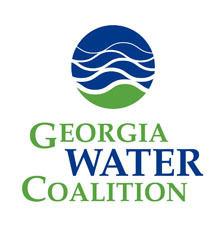 CRBI worked closely with other environmental groups throughout Georgia in the Georgia Water Coalition to keep Georgia’s water as a public resource. Training hundreds of citizens to monitor rivers and creeks throughout the basin. Citizens collect data which is compiled by CRBI, the City of Rome, the Georgia Environmental Protection Division, and Alabama Water Watch. Trends in water quality are noted and any unusual findings are researched further to ensure no illegal activities are occurring that affect water quality. Educating thousands of Coosa River Basin citizens in classrooms, civic meetings, public forums, workshops, print and broadcast media and in our quarterly newsletter, Mainstream. Jesse joined CRBI in December 2016 as Executive Director and Riverkeeper. 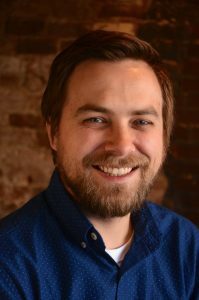 He previously served two and a half years at Ogeechee Riverkeeper based in Savannah where he worked as the organization’s outreach coordinator. Prior to moving to Savannah, he served as a director at the Boys and Girls Club of Northwest Georgia for four years and also served for a short time on the CRBI Board of Directors. He is a 2008 graduate of Berry College where he studied Biology and English. He lives in Rome with his wife Ashley and daughter Lilliana. A Chattanooga native, Ray previously served as a Crew Member for the Southeast Conservation Corp based out of Chattanooga, where she spent several months building and restoring trail systems along the Hiwassee River to prevent excess rainwater runoff. She is a 2015 graduate of Berry College, where she studied Environmental Science. 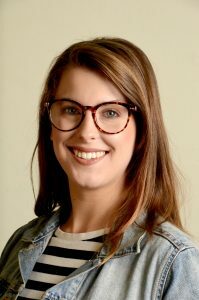 She is currently seeking a Masters in Business Administration at Berry College, through which she has discovered a passion for marketing. As Outreach Coordinator, she will be responsible for acting as a liaison between CRBI and local communities to promote CRBI efforts; develop and lead educational programs; plan and coordinate events; and promote CRBI’s online and social media presence.